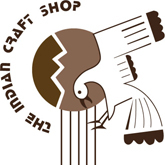 Navajo jeweler Jim Poyer is known for his clean, colorful inlay work. 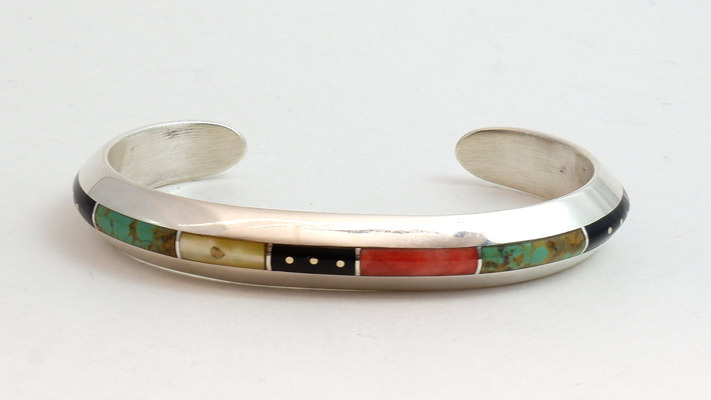 In this elegant bracelet, he has channel inlaid orange spiny oyster shell, turquoise, black jet, yellow lip shell into his handmade sterling silver cuff bracelet. For over twenty years, Jim had a country-western band, the "Jim Poyer Band", and one of the guitar players was Navajo inlay artist Jimmie Harrison. When the band split up, Poyer went to work with his friend making jewelry. Once he was working on his own, Jim Poyer developed a talent for striking color combinations and clean silver work that give his pieces their distinctive, contemporary look. Bracelet size: 6.25" including 1 1/8" opening, Width: `1/3""